Add/Edit Group : This feature can be used by the author(s) to create any number of groups or classes. This will help the exam instructor to arrange exam in batches. 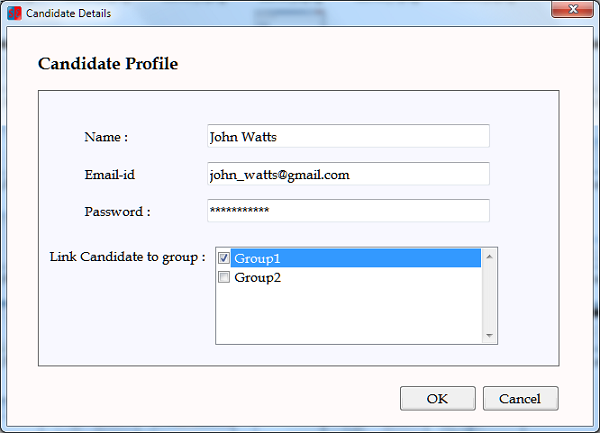 Author can create a group, add any number of candidates to that group and schedule the exam for the group. 1. Add Group : To use this option click "Add Group" in the main Author menu. A new window will open which will require author to enter the group name and click "Ok". The group created will be listed under "Link Candidate to group" field when you are adding/editing candidates. 2. 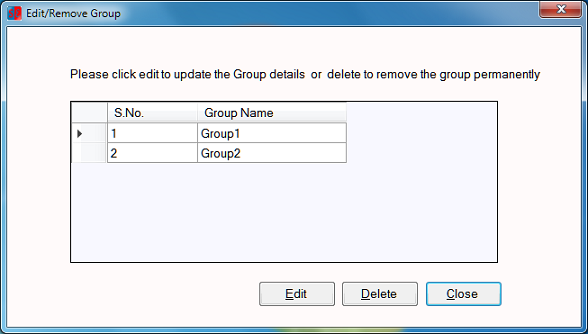 Edit/Delete Group : This option allows author to edit group name or remove the group completely. To use this option select "Edit/Delete Group" option from main Author menu. A list of all the groups will be provided, select the group whose details you want to edit and click on "Edit" button to change the group name. To delete the group select the group from the list and click on "Delete" button.